Bullying, A Social Epidemic! When someone makes you feel less about who you are as a person. Who You Associate With Will Determine Your Success! Inside Medical Assisting Presents Susan Smuzinsky Vice President New Jersey American Medical Technologists (AMT) Society! According to Healthforce Center at UCSF Faculty Member Susan Chapman PhD.! “60 percent of the health workforce, are often underpaid and under-researched”, (Including Medical Assisting Profession)! Success is About Overcoming Your Situation: The Brian Dicken Story, PhD, MBA, Medical Program Director- Southeastern College! Behind the Scene of Studying for the Medical Assisting Certification Examination! Anatomy of the Medical Assisting “Reverse Role Employment Method”! The Medical Assisting “Reverse Role Employment Method”! Insight From 2 Male Medical Assistants About Working in a Woman’s World! What’s it like to be a Medical Assistant with Epilepsy: The Nightmare World of Holly Lopez! National Opportunities! 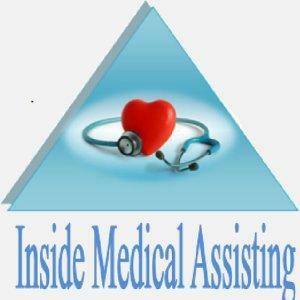 If you’re a Medical Assistant or Phlebotomist Listen to this Podcast!